The City of Raymore holds an annual parade before their Festival in the Park. 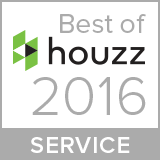 We love to be a part of our community, and try to represent them well throughout the entire KC Metro area. Helping out at Sonic in Raymore, MO.